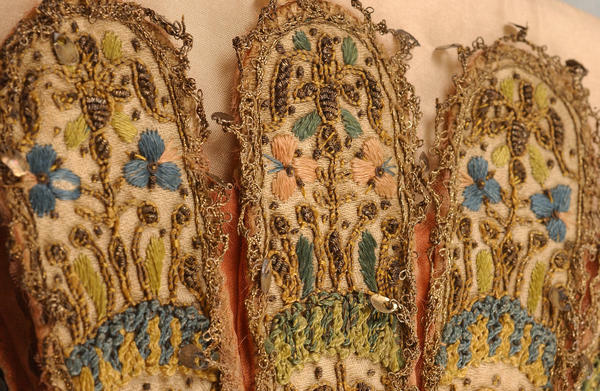 Welcome to Week Eight of our series showcasing the world-class Glove Collection of the Worshipful Company of the Glovers of London, cared for and housed here in Bath at the Fashion Museum. With the blossom out in the hedgerows and the evenings getting lighter it’s definitely springtime here in Bath; this week, therefore, we have chosen a glove with a colourful embroidered design of pansies and other spring flowers. The glove in question is just a single, and we are not sure where the second, to make up the pair, is located now. This glove is part of the collection that originally belonged to artist and collector Robert Spence, donated to the Worshipful Company of Glovers of London in 1959. It seems likely that the pair was split up with each glove purchased by two different antiquarians or collectors, like Spence. Maybe one day the second glove will come to light and we can re-unite the pair. The glove dates from about 1620, made of kid leather stained a dark cream or yellow colour, with applied panels of ivory silk embroidered in a design of flowers and plants worked in satin stitch in coloured silks and in gold metal threads. Flowers such as pansies, roses, carnations and borage (also known as star-flower), were popular motifs in English embroidery in the early 17th century. Other flowers seen in embroidery of this date, for example, include woodbine (honeysuckle), lilies and daffodils. This was the era of Herballs or catalogues of plants. John Gerard (ca. 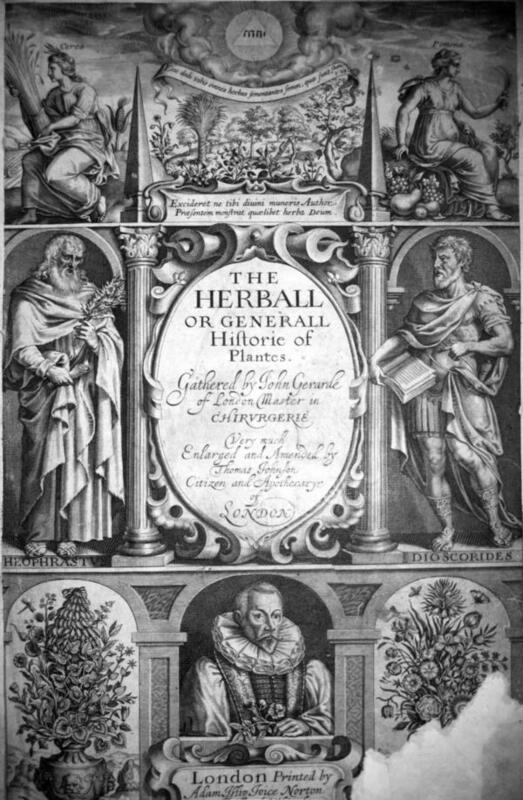 1545-1612), a botanist with a herbal garden in London, for example, wrote Herball, or Generall Historie of Plantes, first published in 1597. This went on to become the leading book in English on botany in the 17th century, and it is interesting to speculate on the influence of books such as this on embroidery designs of the period. The embroidery on the gauntlet glove was all worked by hand, most probably by skilled professional embroiderers based in London. 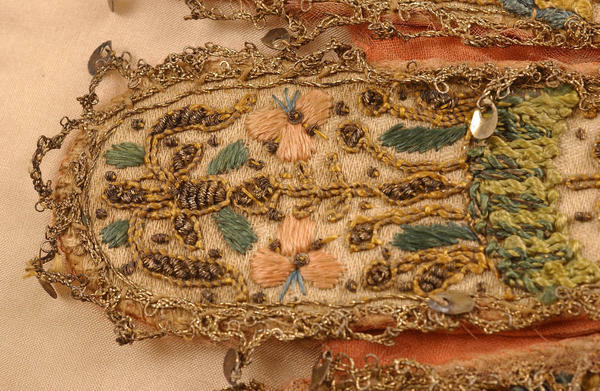 The edges of the glove are decorated with bobbin lace in gold metal thread, with attached spangles. These discs or oblongs of thin shiny metal were the 17th century equivalent of sequins. This is a tabbed gauntlet glove, that is one with an extended cuff, but made up of separate long panels. Some ‘tabs’ had square ends, but the panels on our springtime glove have rounded ends, which seems to have been a fashionable look around about 1620. The separate tabs are all held together by inserts or godet panels of soft salmon-pink silk. 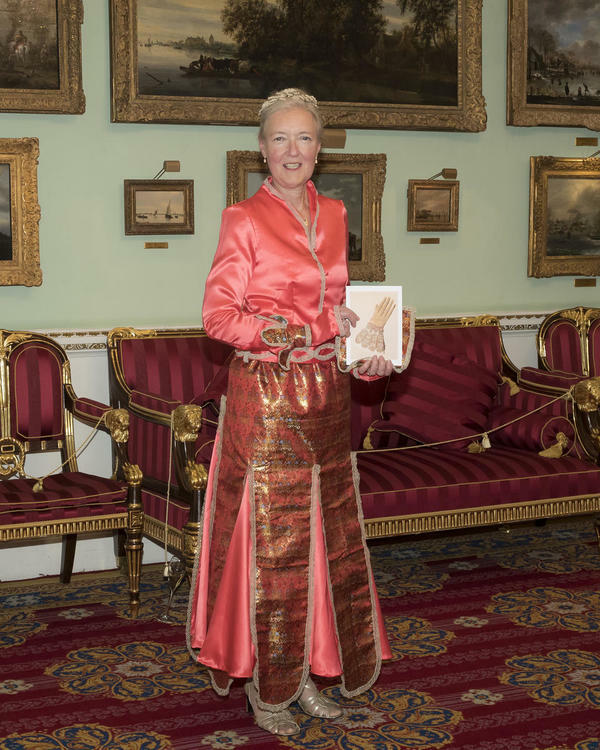 It was the tabs of this gauntlet glove, and the folds of the silk of the godets, that inspired skilled dressmaker Rowena McNamara when she came to design the evening dress that she wore to a banquet at the Mansion House in the City of London in October 2018. 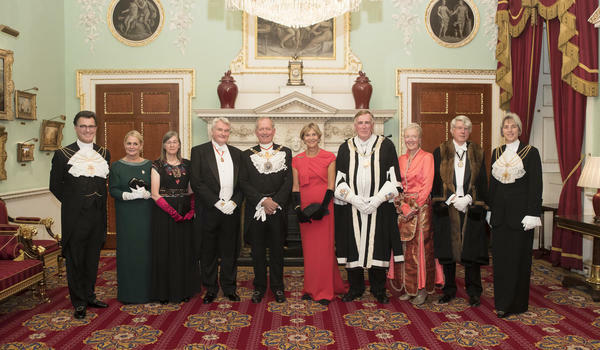 Rowena’s husband Alvan Seth-Smith was Master Glover of the Worshipful Company of Glovers of London that year and the annual banquet is an important event on the Worshipful Company’s social calendar. 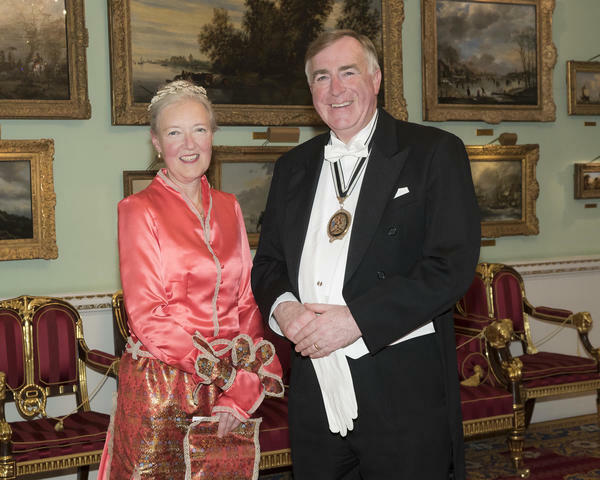 A special dress was needed and Rowena chose to acknowledge the world-class Glove Collection of the Worshipful Company of Glovers of London in her design. After months of planning and hours of stitching, the finished dress was much admired on the night. Have you been inspired by any of the historical gloves on display in Glove Stories to make your own artwork? It might be a dress like Rowena, but equally it could be a drawing, or a poem or some other piece of creative work. 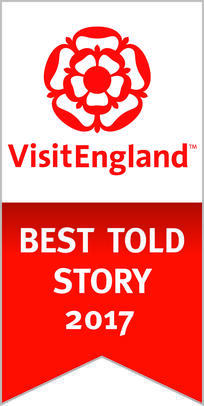 If so, please do get in touch at [email protected] – we’d love to hear from you. Glove Stories is on display at the Fashion Museum Bath until 1 March 2020. To celebrate we are highlighting one fabulous pair of gloves, or as here a single glove (from this wonderful collection) every week.